Have you ever thought about comparing your favorite fountain pen to a car? If so, what kind of car would it be? For the Enthusiast, driving a car is less about the purpose of getting from point A to point B, and all about the experience of driving. Driving is pure joy: the beauty of the machine itself, the G force on the curves, the wind in your hair, the braking power, the sound of the engine. The driving experience is a package deal that must involve all five senses. This type of driver may own a BMW M3 or Porsche 911. How about a fountain pen Enthusiast? The Enthusiast owns a fountain pen not just for the purpose of putting marks on paper, but rather to experience the pure joy of writing. The beauty of the pen, the feel of the nib against paper, the sounds the interaction between nib and paper produce, the variation of line width, the beautiful colors and shading of ink, these are all part of this experience. This is what is known as “pen touch” in some Asian lands. Often, Asian and Italian made fountain pens are created with the full “pen touch” experience in mind. 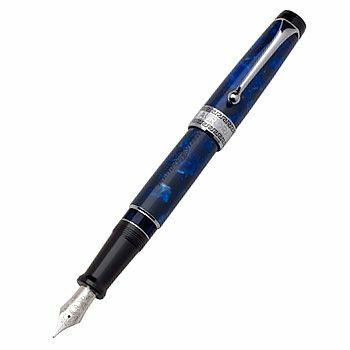 The Enthusiast may own a Platinum Maki-e or an Aurora Optima Auroloide fountain pen, both of which, in addition to being fine writing tools, are works of art. Their flagship pen models, the Platinum President and the Aurora Ipsilon Deluxe, both have similar qualities. The next type of driver we can think of is all about function. Getting from point A to point B is the most important thing with zero concern over looks and features. Once this driver gets to their destination there is little to no recollection of how they got there, they just arrived. I’m afraid to mention what type of car this person might drive in case it might be yours, so I’ll just leave it up to your own imagination. I have a feeling that a pen owner that is only concerned about function would not own a fountain pen in the first place. A ball point pen from the local discount store would probably be sufficient. 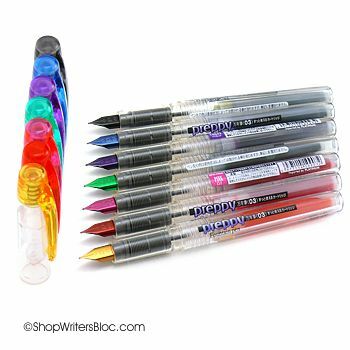 However, there are inexpensive fountain pens that function reliably enough that you don’t have to think much about maintaining them or wonder whether or not they will start when you pick them up to write. The Platinum Preppy fountain pen comes to mind as one of the most reliable, inexpensive pens that I own. It’s easy to refill with cartridges too. Then there is the comfort driver that likes to feel as if they are floating on air as they pass by the sights and scenery. This type of driver is not interested much in sensory perception as they drive, rather priority is placed on comfort. Thinking of driving in comfort both the Buick Regal and Lincoln Continental are cars that come to mind. Often these cars are loaded with features to provide the most comfortable ride possible. 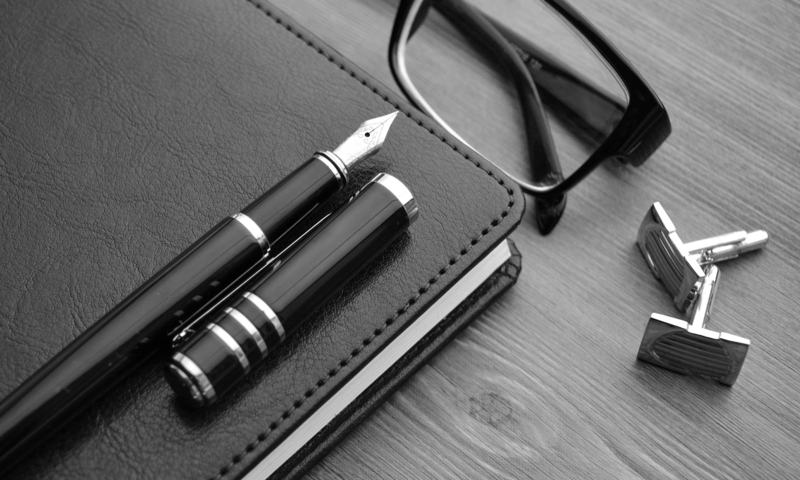 Writers that place priority on comfort often own fountain pens. When writing with a fountain pen less pressure on the paper is required to write thus reducing writing fatigue. Some fountain pens also have ergonomic grips to make writing easier. Gold nibs are often preferred by those seeking comfort since gold nibs tend to have a softer quality than steel nibs. German made fountain pens, such as those made by LAMY and Pelikan, are well known for their comfortable, soft touch. 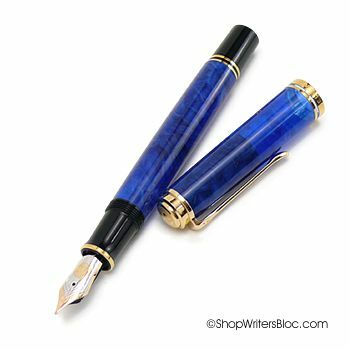 A comfort writer may own an elegant writing instrument such as a Pelikan Souveran M800 Blue o’ Blue or a sophisticated LAMY 2000 fountain pen with its buttery soft platinum coated 14K gold nib. Comfort can be found in inexpensive pens too such as the LAMY Safari or Pelikano Junior which are used daily by many writers. So how about you? What kind of fountain pen do you “drive”?